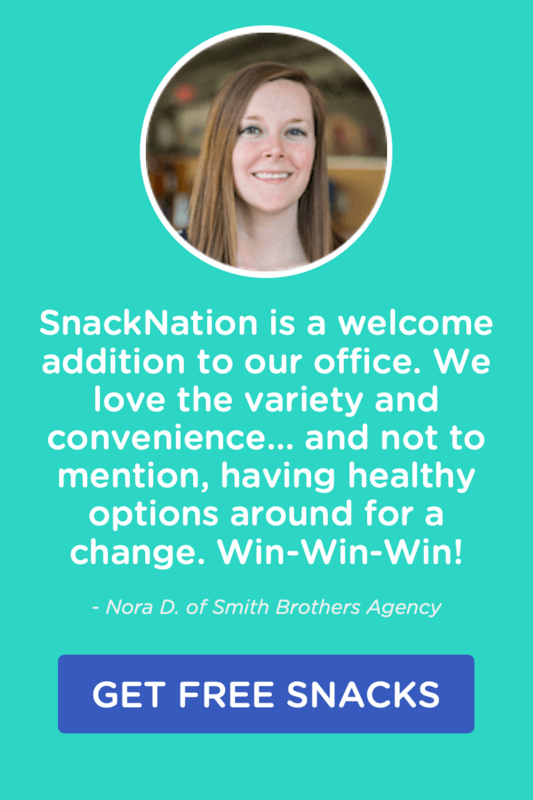 At SnackNation we live by the motto “Health above all else.” In fact, it’s the first – and arguably most important – of our five core values. In our view, health is always square one. You can’t be a good boss, teammate, friend, or spouse without first taking care of yourself. And we’re not the only ones. More and more companies are finding that healthier employees are also happier and more productive. A study by the Harvard Business Review found that for every dollar invested in wellness, companies average a return of $2.71 by way of increased productivity, decreased absenteeism, and reduced healthcare cost. As a result, a cottage industry of corporate wellness companies have sprung up in the last few decades, offering an array of different services and approaches. But with so many options out there, how do you decide which solution is best for your organization? That’s where we come in. We compiled this list of the best of the best wellness companies, the ones with the longest national reach, the most robust programs, and a track record of success. 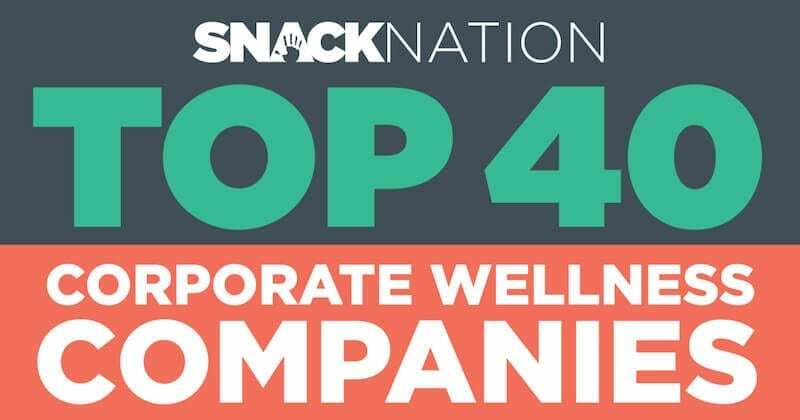 In no particular order, below are the top 40 corporate wellness companies who make it easy for employees to live healthier lifestyles and make working at your company even more fun. 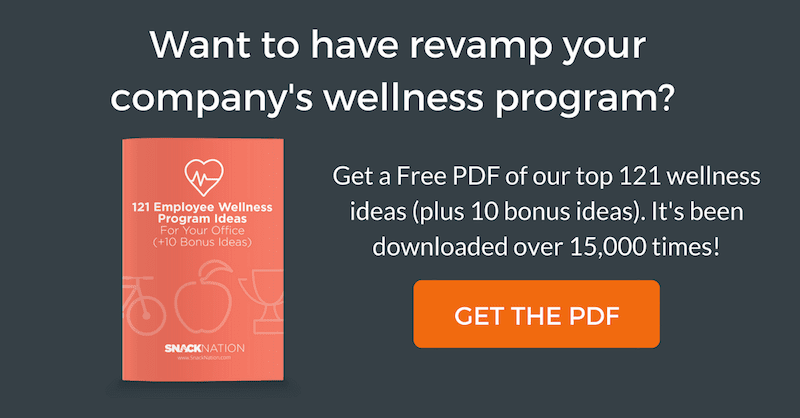 Free bonus: Revive you wellness program by downloading our Ultimate List of 121 Wellness Program Ideas. Easily save it on your computer for quick reference or print it for your company’s next Wellness Meeting. Includes 10 bonus ideas you can’t find on the blog. 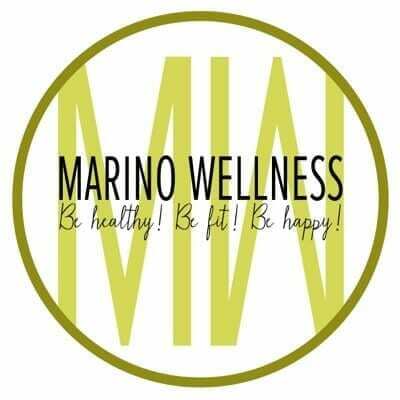 With three levels of corporate wellness programs for different sizes of companies, Marino Wellness can cover any size or budget for corporate wellness. With options as various as annual health risk assessments and monthly massage days, this company is definitely a great choice for corporate wellness. The powerhouse that is EXOS is definitely one of our top worksite wellness companies partially for their ability to design custom fitness centers for big corporations, but also because they also make these gyms eco-friendly. So, the gyms are good for employees and the environment! 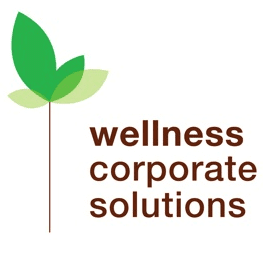 Like many of our other world class corporate wellness companies, Wellness Corporate Solutions offers health fairs and health risk assessments to employees. However, Wellness Corporate Solutions also offers eight week long wellness campaigns to challenge employees to strive harder both for health and in a work environment. One of the most inspirational parts of the Kinema Fitness system is its willingness to give back. Kinema offers its fitness services to non-profit events. By giving back to the community in this way, Kinema is making the world a better place. 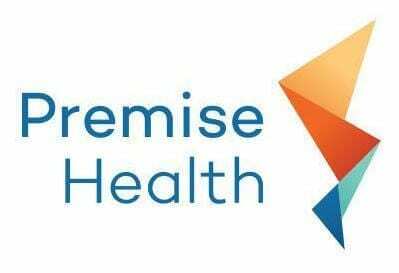 Premise Health does more than just cover you for your basic health needs; it also offers chiropractic and acupuncture services for its customers. That’s right—all of those years of hunching over at a desk can be corrected with a few simple appointments! Unlike many other corporate wellness companies, TotalWellness’s goal is to improve the health of employees by lowering healthcare costs. Employers can then offer more wellness programs with the savings they generated. Although not typically considered a corporate wellness company, WorkStride helps employers recognize and reward behaviors that already occur to improve employee wellness. This can help your company save money on more than one level. Many people know Fitbit as the tiny wristwatch-like device that gets you to your personal fitness goals. However, Fitbit also provides companies with corporate wellness programs that use their products to improve employee health. Serving over six million employees in America, Provant’s program focuses on three tenets: assessment, inspiration, and rewards/reports. These tenets make improving or customizing an employer’s program a breeze! Three words—onsite health centers. No more wishy washiness of wondering if your employees are truly sick and need to go home or if they are simply being hypochondriacs.Check out Marathon Health’s site here. Wellsource is a great company for corporate wellness. Recognized as a Fit Friendly Worksite by the American Heart Association and a longtime WELCOA member, Wellsource has been helping organizations and individuals understand the connection between lifestyle and risk factors for preventable disease for nearly 4 decades. Wellsource’s innovative health risk assessment and online wellness resources make getting your wellness program up and running quick and easy. At the heart of Virgin’s offering is technology designed to cultivate good lifestyle habits and maximize employees’ total quality of life. Their product suite includes mobile apps, fitness trackers, and detailed analytics, as well seamless integrations with a ton of devices – even Amazon’s Alexa. In May of 2017, the company also launched the Virgin Pulse Global Challenge. The effort brought together 300,000s employees in 185 countries to compete in a 100 day virtual journey that included physical activity, healthy eating, stress resilience, sleep quality and healthy habits. Virgin’s founder Sir Richard Branson himself even joined in on the fun. 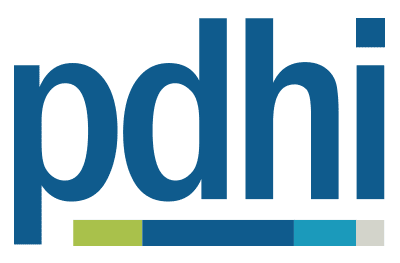 Although American Speciality Health (ASH) may have been born in founder George Devries’ spare bedroom 30 years ago, today the company have one of the most robust offerings for employers and healthcare providers in the U.S. Their network includes more than 60,000 speciality healthcare practitioners who can provide what your employees need to lead healthier lives. We like ASH for their unique mix of musculoskeletal health plan integrations, fitness and exercise services, and more general health management solutions. They also really do have something for everyone, including no-cost, low-cost, and reimbursement-based plans. Welltok is a pioneer in health optimization that provides a highly personalized and rewarding experience for employees. The company’s main platform, Cafe Well, is an ecosystem of programs that combine a broad selection of content, community, and rewards programs to incentivizes positive health behaviors. With a focus mainly on fitness centers, Power Wellness brings corporate wellness back to basics. Karelia’s approach to employee wellness is as unique as its name. Its focus is on food health, specifically lessening the meat and saturated fat intake of employees and increasing the intake of fruits and vegetables. 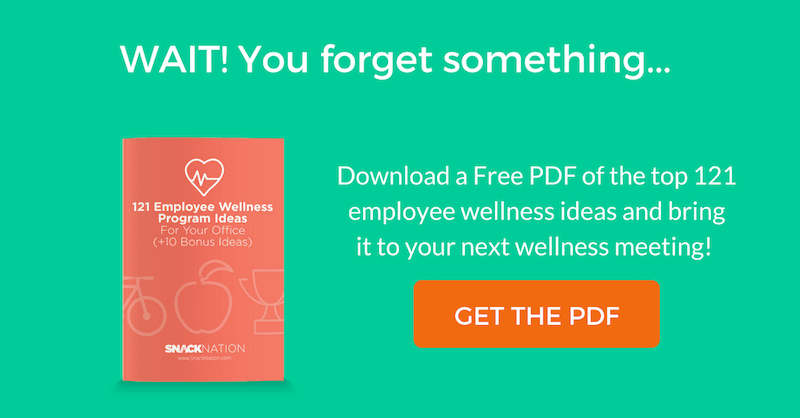 This unique corporate wellness solution focuses on getting employees paired with doctors. Doctors in the MDVIP system manage the health improvement plans of their patients, from exercise to diet and everything in between. Vitality takes a gamified approach, incentivizing healthy behaviors through challenges, points, and rankings. They also leverage their 220 million months of global member data to drive real results. And really, their results speak for themselves. 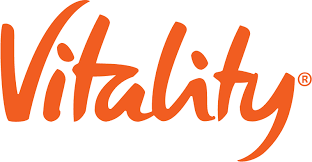 An independently verified study found that Vitality programs have resulted in $4.7M in total medical cost savings, and have increased on the job performance by nearly 4%. LifeDojo’s unique name matches its 12-week approach to corporate health. Their program not only incorporates traditional elements of health; it also factors in stress, resilience, and sleeping patterns to improve overall wellness. 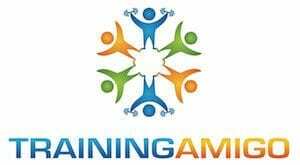 Another technologically advance employee wellness solution is Training Amigo. Along with tracking how your team is performing in the program, Training Amigo also makes reporting fun through rewards-based tasks and a platform similar to a social media account. We like Kersh because they’ve developed a simple, effective approach over their 20 years in the biz. They start with a low-friction biometric screening to determine where to focus. Next, they outfit program participants with KAM, their proprietary, state-of-the-art wearable accelerometer to measure daily activity. Finally, they combine these inputs to provide a “Qscore” and recommend action. Their algorithms have been actuarially verified by one of the world’s largest insurance providers, and additional clinical offerings make for a well-rounded experience. Along with mental and physical health, Sonic Boom also factors in many employees’ wallet worries. With programs on budgeting and other financial concerns, Sonic Boom goes well beyond the corporate wellness standard. As the name implies, Corporate Fitness Works focuses on one main goal: fitness. With a variety of programs and services to keep your employees fit and active, Corporate Fitness Works is a great choice. With a focus on smoking cessation, stress and time management, and nutrition and fitness, EliteHealth truly lives up to its name. It is perfect for any sized company and was even rated top 10 corporate wellness companies by worth.com. Psocratic is all about customization. Their solutions are designed to be both custom to your business and personalized for each individual employee. Their fun, user-friendly experience recommends activities and provide growth-inspiring tools for your employees. All of this is deployed with a layer of social connectivity, making their program fun and transparent, while inspiring some friendly competition. Psocratic is also great for orgs of all sizes, from startups to Fortune 100 companies. 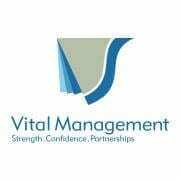 With applications, health management solutions, and biometric screenings, Vital Management has the basic trimmings of any other corporate wellness program. However, it also has recreation management, which helps bring employees together into a team environment. Sometimes the effects of a wellness program can be short-lived. Not so with Sprout. Their programs and solutions are specifically designed to deliver lasting, measurable results. They do this through their online platform and mobile app, which provides insights and analytics, and integrate things like absenteeism, engagement and performance data to obtain insights, action plans, and real time ROI. But what we love most is Sprout’s commitment to best in class service. Instead of overwhelming you with tools and capabilities and leaving you to fend yourself, the company is there to offer guidance and best practices every step of the way. 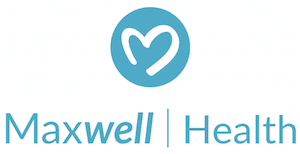 Maxwell Health is the first ever operating system for employee benefits. The app is like a one-stop-shop for everything benefits related, including built in insurance ID cards, a step tracking program, rewards store and concierge service, where employees are assisted with claims, choosing doctors, and much more. No, not the peanut butter brand. This company uses a combination of gamification and economic incentives to get employees healthy. 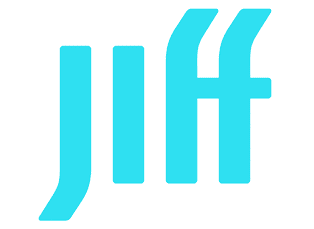 Whether it’s earning a few bucks for getting a check up or rewarding employees for taking lunchtime walks, Jiff is the technological solution for corporate wellness. Based out of Helsinki, this fully customizable corporate wellness company makes getting your employees away from their desks and on their feet easy! Heia Heia’s easy to use application has 400 physical activities to choose from that will earn employees rewards. With the ability to autolog fitness data from devices like Fitbit, ConXus is a conglomerate of a variety of organizations aimed towards keeping your employees healthy. From hospitals to heath coaches and everything in between, ConXus has got you covered. The tagline says it all – this world class corporate wellness company develops programs that make employees in any organization “Feel Loved.” We love LifeWorks because they combine counseling, life coaching, digital content, financial wellness, and care services to create a 360 wellness experience. And it all lives conveniently in one place, so taking full advantage is a snap for employees. Running much like a super efficient corporation, US Corporate Wellness focuses on optimizing health for each team member, engaging and persuading team members to join, and measuring results to improve the program overall. What makes ComPsych unique is its recognition of both physical and mental factors for making employees healthy. From helping employees quit smoking to lifestyle coaching, ComPsych runs the full gambit of corporate wellness. Boasting an individual culture of health and wellness for your company, Novant Health focuses both on preventative care and minimizing risk. Programs like tobacco cessation programs are what they are known for! This unique wellness company focuses on three main components: assessment, culture building, and getting results. Corporate Health Partners serves companies and even some municipalities throughout the US. Offering Wellbeing Webinars and multiple avenues for talking to a health coach, Elevation Corporate Health is the perfect solution for companies that need an affordable, but extensive corporate wellness program. Differentiating themselves from other cookie cutter corporate wellness companies, Wellness Coaches USA focuses on on-site treatment. This can mean anything from an on-site health center to group lunch time walks. Developed by doctors at the University of Colorado, this employee wellness program focuses on creating sustainable healthy habits that go beyond the simple 16-week training program. Orriant offers three personalized one on one coaching and online tracking systems to measure your company’s wellness success., and lowered healthcare costs. Most of Orriant’s clients are seeing 80% of employees (as well as their spouses) engaging in healthier lifestyles as a result of their unique wellness program. 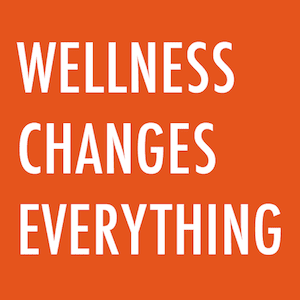 WellSteps worksite wellness solutions reduce employee health care costs and improve employee health. Their solutions include: Assessment, Goal Setting Tools, Activity & Incentive Trackers, Behavior Change Tools, Evaluation and Incentives. As the winner of the 2016 Koop Award, the WellSteps wellness platforms have been identified as one of the nation’s most effective corporate wellness program. 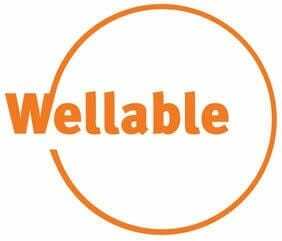 Wellable operates next-generation wellness challenges and health content technology platforms and complements these solutions with onsite services, such as health fair coordination, seminars, and more. The technology’s flexibility allows organizations to customize and configure a program to meet their needs and objectives while providing a rich experience for end users. Wellable works with employers and health plans of all sizes across the world, with active users in more than 23 different countries. Keeping your employees healthy and happy is a necessity, and with so many corporate wellness companies to help you with the process, your company really has no reason to fight against the tide. Keep them in mind when you’re looking for a corporate wellness company to help out your company! Did we miss a fantastic company? Let us know in the comments below! Where did you get your source for this listing – how did you establish this? We compiled this list with the goal of finding wellness companies that have the best reach nationwide, the most robust programs, and who have a track record of success. These were the best companies we find that met those criteria. In each company’s mention, we added what makes that company’s wellness services unique. You forgot American Specialty Health possibly one of the biggest wellness and prevention programs in the US. They provide “wellness programs at no cost – telephone coching, wellness website, incentives (cash insurance premiums), biometric and more.” They have around 38 million members accross the US, with companies like Exxon, Nordstrom, Bayer. We didn’t come across Preventure in our initial research, but thank you for adding another resource to this list of awesome wellness companies! Hey Jennifer, we didn’t come across Vitality when we originally created this article, but thank you for bringing them up. Have you worked with them personally? Is there any more insight on their services that you can share with us? No, I have not worked with them, but they came up for me recently when someone mentioned they are one of the selected vendors for some large national insurance brokerages. I am not sure of all of their services, but seem to be one to keep on your radar. Nice list, very well put together. Why don’t any of these companies own wellnesscompany dot com? Kersh Health has the only program endorsed by the Mayo Clinic, why aren’t we on your list? Did these companies pay to be on here? Clearly someone needs to do some research in to Kersh Health. We are the best! Hi Brett, I can assure you that none of the companies mentioned here paid to be included. Please see my comment to Staci above for an explanation on how we devised this list of wellness companies. 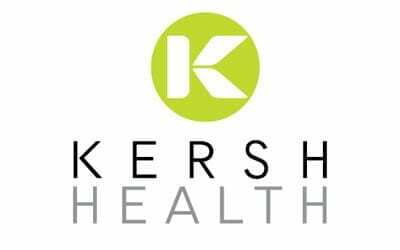 Thanks for letting us know about Kersh, seems like a solid wellness company as well! FitFUNd is a social enterprise that provides onsite fitness programs. The company donates a workout in return in areas of high need of health access. Sweat with a cause! Marathon Health is honored to be on your list. Thank you for bringing attention to the commitment all the fine organizations you have listed have towards allowing individuals to live their best lives, as well as acknowledging the many others out there likely doing the same. Our great Ambassadors in Marathon Nation work with the incredible customers we are privileged to serve to try and make every day a better opportunity to find health and accompanying happiness for their people. Our best to you for your success in the same direction. Sure thing Jerry! 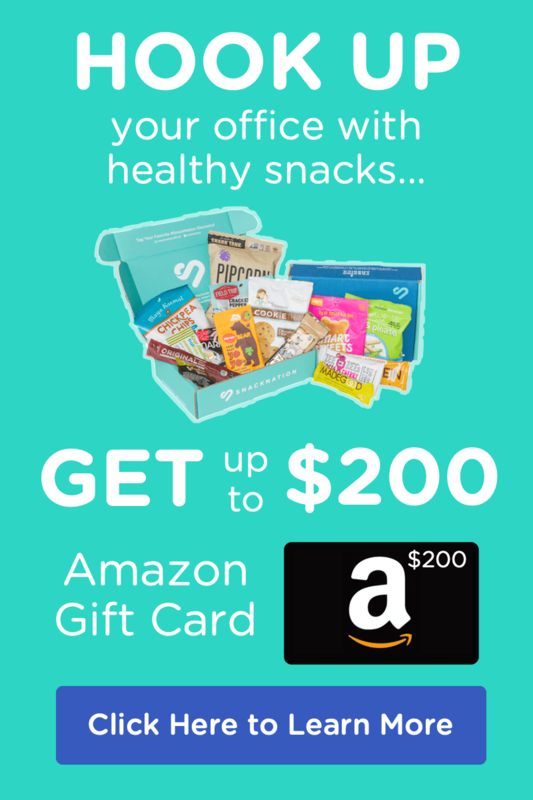 Marathon Health is an outstanding wellness company, so it was an easy decision to include you on this list. There is a new Health and Wellness company called Execufitt. It is based out of South Carolina with clients in Atlanta. We look forward to making your list soon. Thanks Eric, we’ll definitely check out Execufitt when we update this post. I enjoyed reviewing your list. One area that needs to be included is mental wellness and stress management. Please explore Psocratic. This is a fast growing company that provides a very affordable and personalized service directed to the employee to maintain a positive attitude and enhance job performance. The on-going user participation has been great. Great list! We look forward to making this list next year with the new solution we’ve brought to the market. Thanks for putting this together. Thanks Chris, we’ll check out Peerfit the next time we run a review post like this. Hi I work for wellness companies before I would like to know which ones are hiring I like to travel Nationwide. I worked in the lab for 25 years I’ve been doing Wellness companies for the last 7 years I really enjoy it meeting new people traveling all over what companies will be the best company to work for. You should have a wellness company yourself by now…ever thought about that? I’d love to talk to you about transitioning into this industry. I’ve been in corporate healthcare and have been doing wellness initiatives for over a decade now. I was surprised that Virgin Pulse was not on your list, considering its nationwide reach, program robustness, and track record of success. 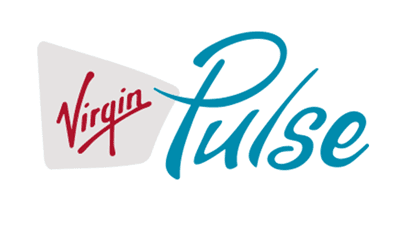 Two of the companies on your list, GCC and ShapeUp, are now part of Virgin Pulse. Healthper is not on your list either and that has a health and wellness platform to create tailored corporate wellness programs. It offers Health Assessment, Biometric Screenings, Lifestyle Coaching, Condition/Disease Management, Wellness Education, Online Coaching Programs, Team & Individual Challenges, Social Community, Personal Health Record, Rewards Mall and much more…all in a unified experience for members and their sponsors. EXOS is honored to be included in your list. Please let me know if we can provide you with more up-to-date pieces of information in the future. Looks like a lot of other wellness providers wish they made this list, so I might as well add our name to comments for future consideration as well! The McCahill Group located in Grand Rapids, MI has been a successful corporate wellness and fitness management company for over 30 years. We work with a lot of well-known international companies but have experience delivering corporate wellness to groups of all sizes, including being involved in one of the first ever workplace wellness programs in the 1980’s when we partnered with Steelcase. The reason we might be considered is that everything we do (and I mean everything!) is customized to fit the clients unique workplace culture. We have no canned programs or service offerings based on the belief that if your workplace is one of a kind, then your wellness program should be too! WellRight (www.wellright.com) is also a player in this space! Our approach sounds similar to McCahill Group — we agree, a rigid, one-size-fits-all wellness program is destined to fail since everybody has their own unique path to wellness. Instead of telling people how we think their groups should get healthy, we build powerful software that can run any wellness program, recognizing the best programs allow groups and individuals to have choice in their own wellness. Our biggest compliment: this design allows programs to stay fresh, reduces boredom, and establishes lifelong habits (instead of temporary behavior change). Come check us out: http://www.wellright.com. http://www.360wellcare.com is growing in its impact to improve corporate health and wellness in innovative and traditional methods but on a platform of strong leadership values. This is a thorough list Emil, thank you. I do think that you should research and add MediKeeper – they have a cloud based corporate wellness platform – http://www.medikeeper.com – and is intended for employer groups, health plans, brokers, TPA’s, and wellness companies. I’m happy to see MediKeeper mentioned here, as they absolutely revolutionized our wellness strategy! The MediKeeper wellness portal is engaging, all-encompassing, intuitive and fun, and has been able to drive engagement + results for our corporate wellness program. Their reporting, targeted messaging, and new wellness challenges platform are leaps and bounds ahead of the competition! I have worked with Health Fitness Corp (div of Trustmark) in the past and found them to be excellent. Take a look and consider adding them to your list. Agreed! Where is HealthFitness on this list? Our reach is also in the millions, with hundreds of clients across the nation, offering health coaching, biometric screenings, wellness seminars, onsite program management, platform, etc. Hi, is this list for US or worldwide as I am from the #1 wellness company in India which has more than 1 million active users currently and I don’t know why we are not in the list. The program name is Truworth wellness (http://www.truworthwellness.com/ ) we recently launched another big portal where user can find all its health care solutions at one place it is The Wellness Corner ( https://thewellnesscorner.com/ ) . I hope you will add these two portals in above list. Thanks for a great list. Just curious whether anyone knows the answer to this question – do any corporate wellness companies work with caterers to provide employee meals as part of a corporate wellness program? If so I would love to hear about it! You might want to keep your eye on Globetrekker Challenge too. these guys are doing some pretty awesome stuff globally. They partner with the wearables tech players as well. I will be hosting a conference in the Northern Virginia area and would be very interested in having some of the companies from your list participate. Hi, It’s really good to see this huge list of health care companies. I also work for one of preventive health checkup company (http://www.indushealthplus.com/) which spreading the cause of prevention among people and offers comprehensive health checkup packages at affordable prices. Love this list. I also want to add Onsite Health Diagnostics (http://www.onsitehealthdiagnostics.com/biometric-screenings/). Onsite Health Diagnostics is a national employee health testing and aggregate health data analysis provider. They were named One of the INC 500 Fastest Growing Companies in America. You may have also heard of Sprout recently as we’ve been growing pretty quickly in the employee wellness space. Sprout is an employee wellbeing platform that helps companies create wellbeing programs that drive health risks and associated employee health costs down. Our strength is our ability to use real time activity data to accurately predict employee health risks and build personalized recommendations, goals and challenges to quickly reduce those risks. The tool is very intuitive and uses a combination of leading social techniques, incentives and gamification to drive participation. Also, the platform easily integrates with other data systems to show real time health cost reduction and ROI. Great list! It’s a very comprehensive one, and showcases a great market slice. I wanted to suggest our own company, IncentFit, be added to the list. We offer some tech-savvy options that other wellness providers don’t have. For instance, we have a modern approach to the typical “gym reimbursement” model. We leverage our users’ phone technology to verify when they are at fitness facilities, and allow them to check-in to receive monetary rewards. The upside is that employers only reimburse for gym membership costs if users are actually working out at the gym! No other company on the market uses this technology, so we thought it would be a valuable addition to the list. I’d also like to add Spire (https://spire.me) Spire is the social solution for employee well-being focused on helping people at work to be healthier and happier. Rather than strictly focusing on platform participation rates, we aim to drive an increase in employee’s Connectedness, Fitness, and Happiness levels. I’m intrigued that so many players appear to be independent of the Insurance companies.Financially you would think that Health and Life Insurance companies would have the most to gain from healthier customers. Vitality is mentioned in the comments above and of course is now linked with John Hancock in the USA – what are the other American insurance companies doing in this space? Is there a way I can find details or a list of similar programmes/companies in the UK please? Great list. Is there a way I can get details of similar companies based in the UK/England? Great list! I’d like to see corporate dining included. Companies that feed employees at work can likely impact the most people. Guckenheimer’s focus is fresh healthy food made from scratch, has been running cafes for 50+ years and is national. Thanks for the suggestion, Andrea! I just began working with them recently and have found their platform and services to be really exceptional. We actually left Virgin Pulse to work with them thanks to Wellable’s flexibility. Novant Health is honored to be included in this list! We certainly feel that being integrated with a large healthcare organization can only mean great partnerships and opportunities for our client base and beyond! We enjoy the relationships that we have be able to foster in VA, NC, SC, GA, and on! We offer a turn-key wellness platform for small employers, and connect employees with online social networks that help them improve their well-being through small actions. Good list. Is there a list of these companies that includes locations or where their HQs are? Thank you. Hi. I am based in Perth and have 3 of us who can offer companies a totally different wellness package. Amongst us is a physiotherapist, clinical psychologist, remedial massage therapist, health and wellness distributor and an advocate for workplace bullying and relationship amongst colleagues. We cover combatting stress and anxiety through body talk and give ways and demo’s of dealing with in-house relationship problems and expanding over to ‘workplace bullying’ which is statistically bone chilling, real and on the rise and the information we have to give not only gives one hope but educates people around this sensitive topic. Between the 3 of us we have a huge amount of health and wellness information to give and we want to offer this to employees and employers, young to old so we can all learn things about ourselves and others. The difficulty is is how to reach to out to companies who will consider something like this as part of their wellness package. It would literally only take an hour or two of staffs time but in return will give people a life time of knowledge, help and opportunities. I was wondering if by any chance anyone can direct me or give me tips of how to get in touch with companies who would be interested. Near or far. Thank you everyone. Excellent list! We look forward to making the list this year. Launched in 2014, the company’s proprietary HDI platform cross-references data learned from activity, sleep, hydration and food with 250,000 scientific papers and clinical studies to create an optimized nutritional plan for the individual. Combined with the company’s line of wearable devices and the ability to purchase fully traceable, personalized dietary supplements and functional foods directly through the app, STYR offers the first and only closed loop system for personalized nutrition. Connect with us STYR.com. We have some pretty large organizations coming on board and the feedback has been incredible. I work for a Chiropractor in the Philadelphia area who provides free Muscle Tension Screenings. We are looking for EmployeeHealth Fairs in the Philadelphia Area. Is there some way we can register as a Vendor with your company? Thanks! Hi! Do you by chance know which, if any, of these companies are headquartered in LA? Thank you! Onsite massage is going to address the various symptoms related to spending long durations of time at the work desk. Thanks for sharing this.